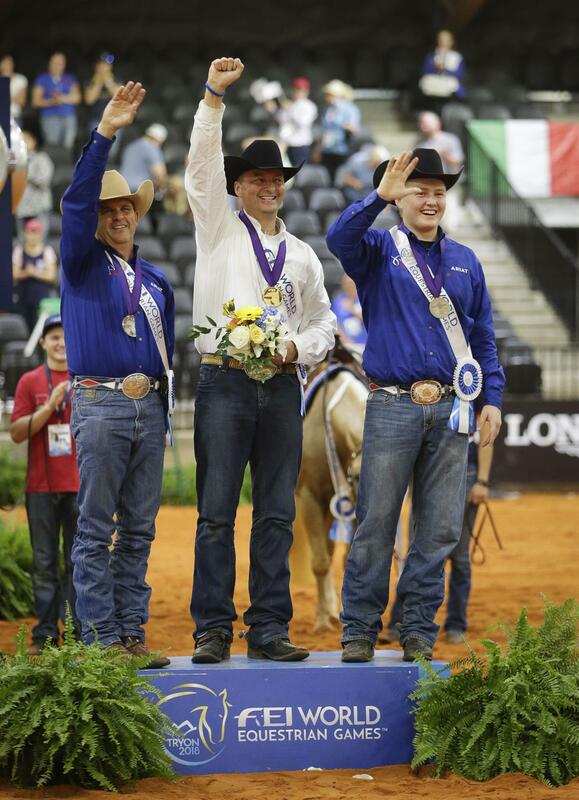 Mill Spring, N.C. – An electrifying crowd and highly competitive runs from 22 combinations proved to be just the atmosphere needed for U.S. reiners Dan Huss and Cade McCutcheon as they fought for their spot on the podium Saturday evening in the Individual Reining Final at the FEI World Equestrian Games (WEG) Tryon 2018. Fresh off their gold-medal finish with the U.S. 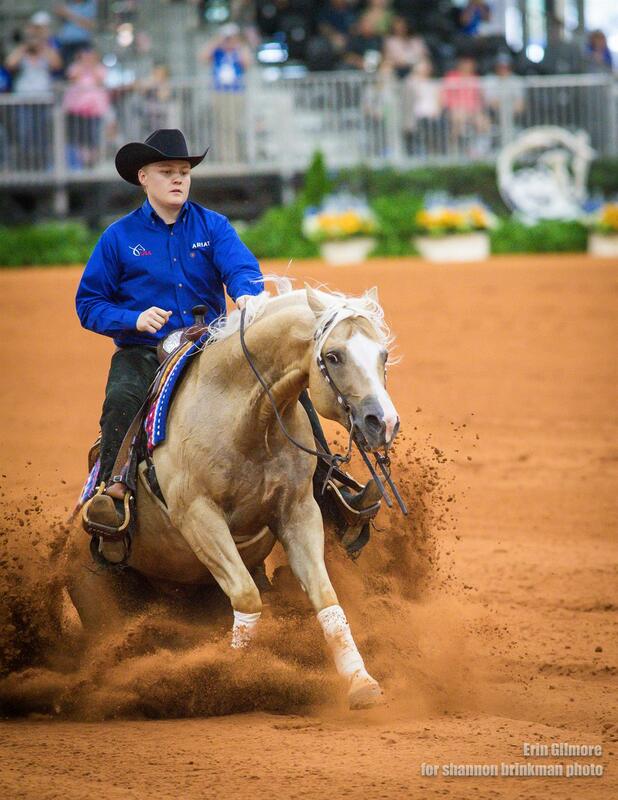 Reining Team on Wednesday evening, Huss (Scottsdale, Ariz.) and McCutcheon (Aubrey, Texas) were the final U.S. runs of the night, going back-to-back as the home crowd waited in anticipation to see if the U.S. would claim not one, but two medals. Huss and Ms Dreamy, Frederick R. Christen’s eight-year-old Quarter Horse mare, laid down a competitive run and the home crowd cheered them on. They needed a score better than 225.0 to land a spot on the podium. With easy precision and smoothly executed lead changes, the athletic, sorrel mare and Huss slid into a score of 226.5 to sit in the silver-medal position. With just McCutcheon to follow, Huss and Ms Dreamy had secured at least a medal in their first individual competition at a WEG. Eighteen-year-old McCutcheon and Custom Made Gun, Tim and Colleen McQuay’s seven-year-old Quarter Horse stallion, followed just behind Huss and his mare. Having led the team event with a score of 229.0, the combination loped into the show pen looking to lay down another flawless run. However, with a few small mistakes in the circles, McCutcheon and Custom Made Gun scored a 225.0, tying them with Brazil’s João Felipe Andrade C S Lacerda and Gunner Dun It Again for third. A run-off of the same pattern would determine the bronze medal. McCutcheon was second to go after watching Lacerda lay down a clean run that earned them a score of 227.0. With the home crowd behind them, McCutcheon and the palomino stallion entered the covered arena to a thunderous applause from U.S. fans. The cheers of support seemed to propel the combination as they executed nearly a flawless pattern, tipping their hat as the crowd roared and a final score of 228.0 sealed the bronze-medal victory. Earlier in the evening fellow U.S. reiner Casey Deary (Weatherford, Texas) and Heavy Duty Chex, Hilldale Farm’s seven-year-old Quarter Horse stallion, would put in a solid performance, earning them a score of 219.0. 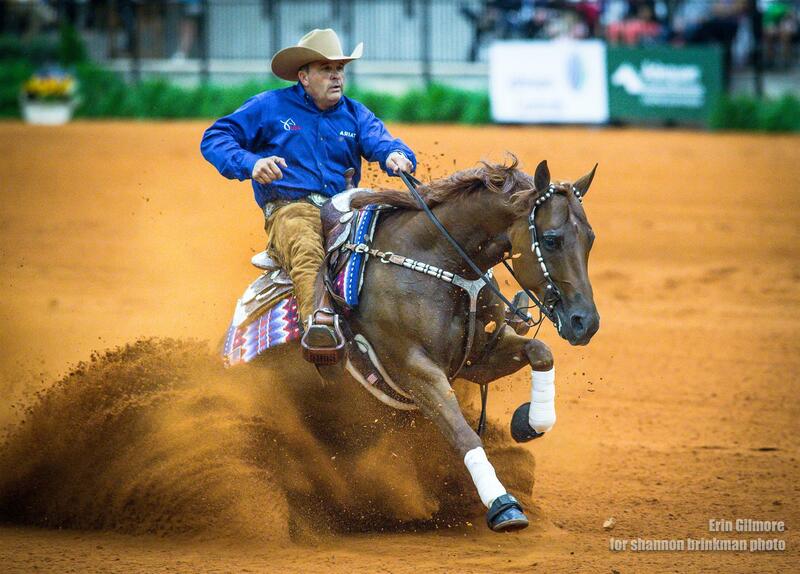 Jordan Larson (Valley View, Texas) and ARC Gunnabeabigstar, HDC Quarter Horses USA LLC’s seven-year-old Quarter Horse stallion, put on a show for the home crowd with their last ride together before the stallion’s retirement, earning a score of 215.0. Stay up to date on the U.S. Reining Team at WEG by following USA Reining on Facebook and US Equestrian on Twitter and Instagram, featuring a daily Instagram Story. Use #USAReining and #Tryon2018.